Dr. Bruce Stabile is a well-known general surgeon in Torrance, California. He received his medical diploma from the University of California, San Francisco School of Medicine in 1970. After getting his medical degree, he did an internship at VA Greater Los Angeles Healthcare System. 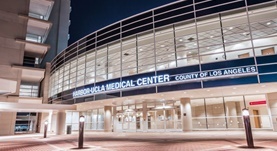 Dr. Stabile completed his medical education with a residency in general surgery at VA Greater Los Angeles Healthcare System. He is certified by the American Board in plastic surgery. He also has a certification of qualification in hand surgery. This doctor works at Los Angeles County – Harbor – UCLA Medical Center. He serves as a professor of surgery at UCLA. He was awarded the honors Top Doctors Southern California in 2012, Top Doctors LA Area in 2013, Super Doc, Who’s who in Medicine and Healthcare, ACS Fellow and many others. He has published a huge number of articles in collaboration with other doctors. He is a member of the American College of Surgeons.